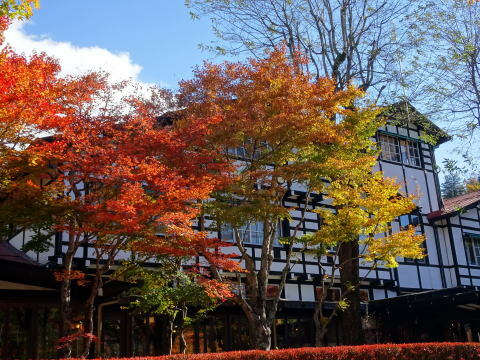 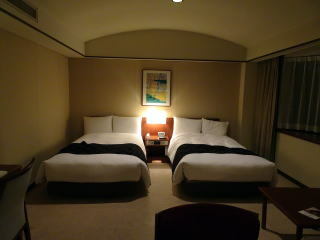 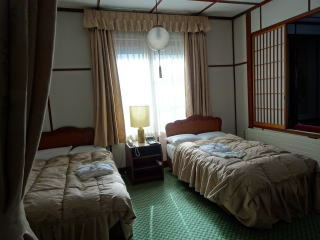 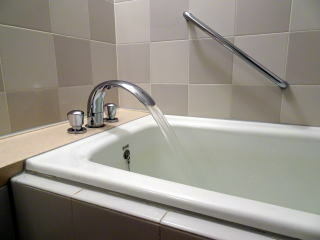 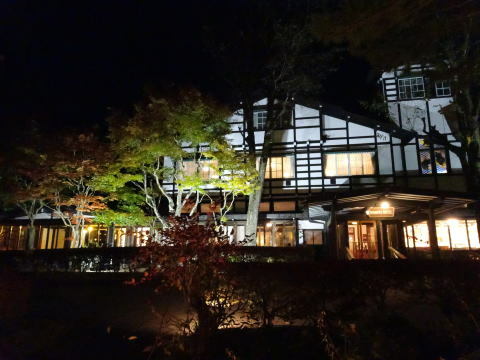 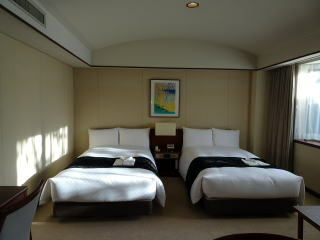 Mampei Hotel in Karuizawa has a total number of 109 guest rooms. 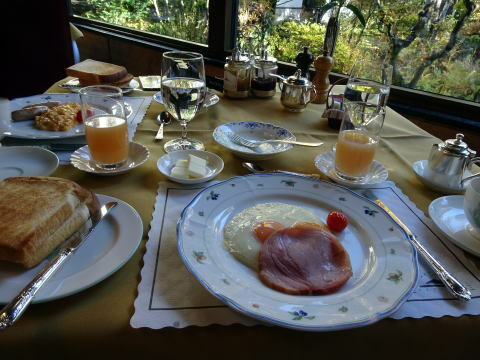 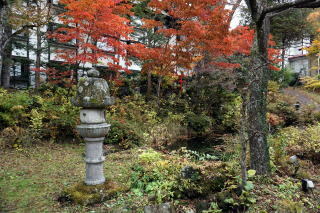 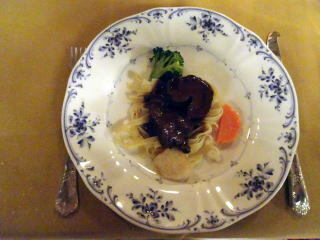 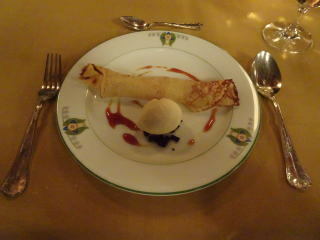 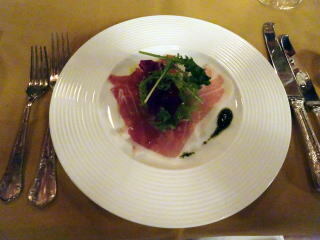 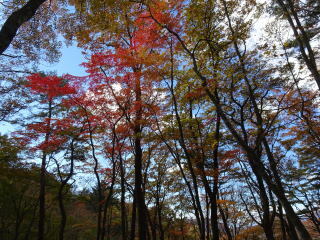 It is composed of Alps, Usui, Atago and Bekkan ( Annex ). 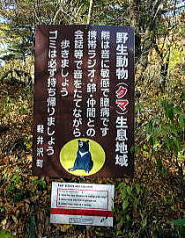 Usui, Atago and Annex, had become smoke-free after April 2016 . 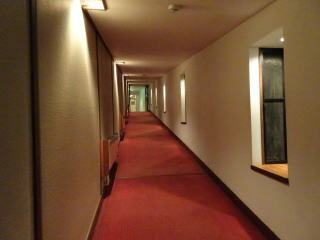 Henry Kissinger had meeting in this hotel. 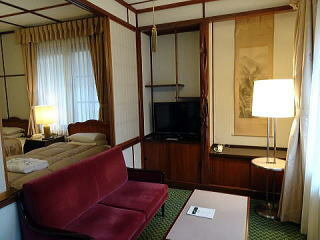 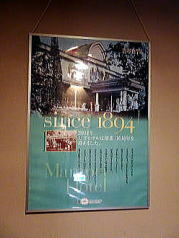 It is also known Musician John Lennon stayed at Mampei Hotel during the summer season. 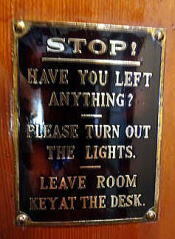 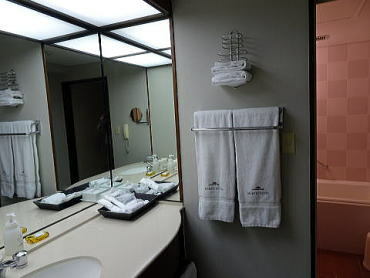 (M) All guest rooms are non-smoking. 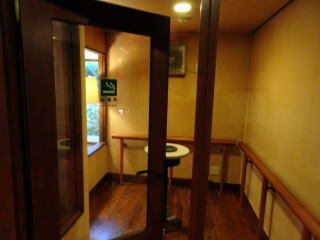 This picture shows a smoking booth attached to the corridor of the hotel building. 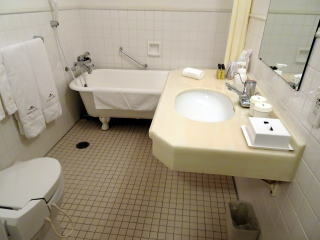 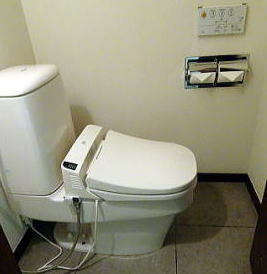 All above facilities are photographed at the Annex guest room. 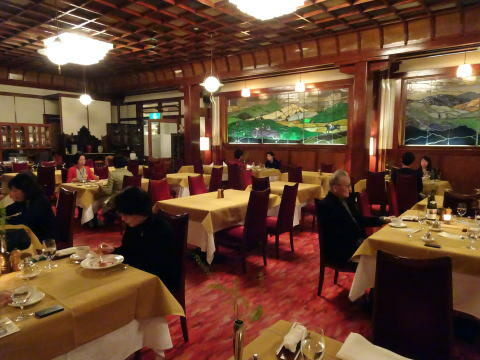 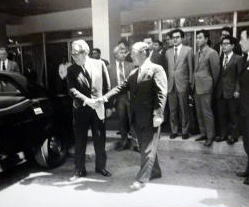 (M) Prime Minister Tanaka and US secretary of state, Kissinger had meeting in Mampei hotel. 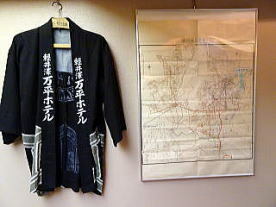 (R) A Happi uniform was used in the early Showa period. 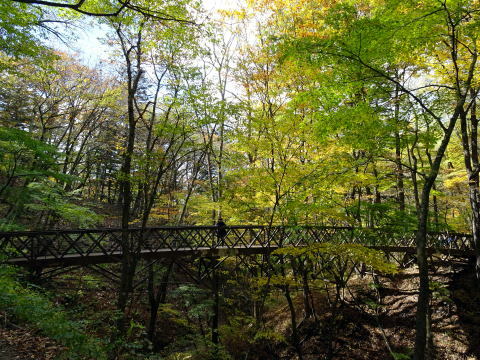 between Yokokawa and Karuizawa has been operated with the rack-and-pinion railway system until 1963. 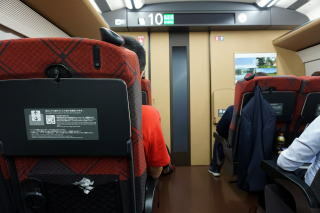 EF63 banking engines used for help in both ascending and descending the 66.7‰ (1 in 15) gradient. 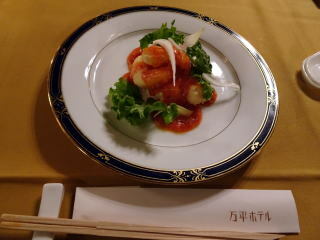 Winter Olympic events. 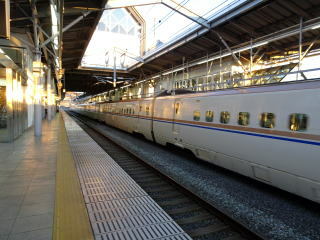 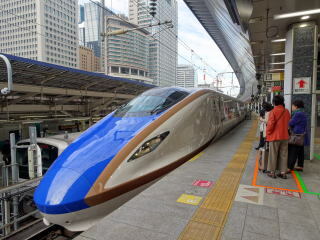 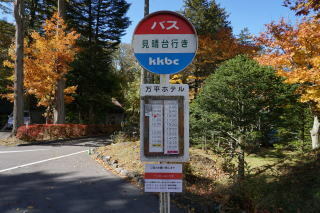 Since 1997, Karuizawa has been accessible via the JR East Hokuriku shinkansen. 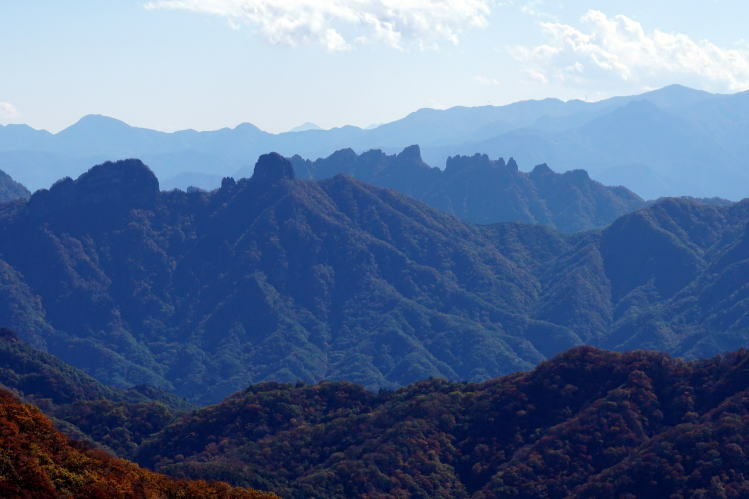 A panoramic view of Mount Myogi, which is seen from Miharasgidai, the Usui Pass Observation Point. 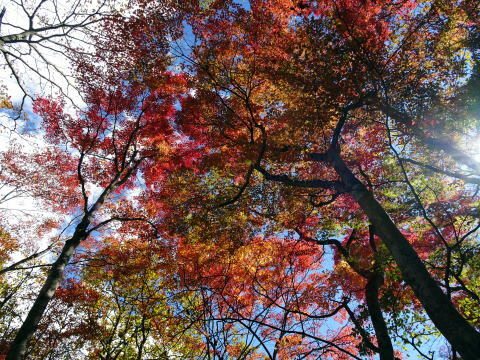 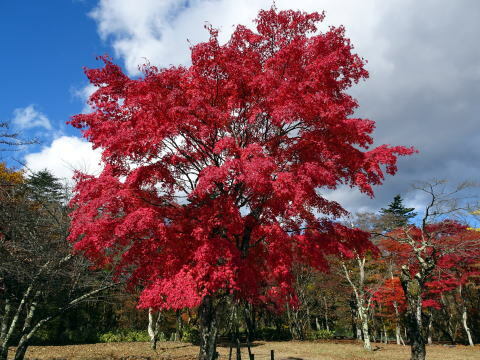 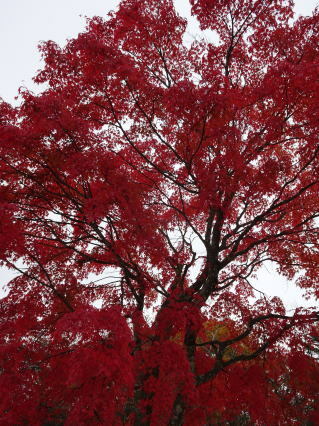 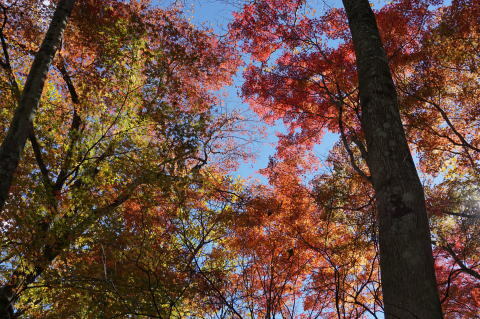 Leaves of trees turned to bright red on the plateau at an altitude of 1200. 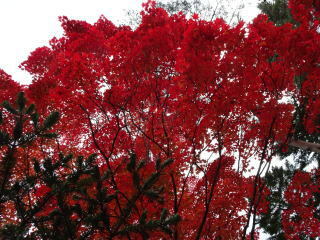 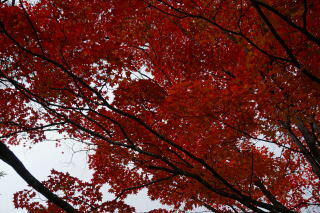 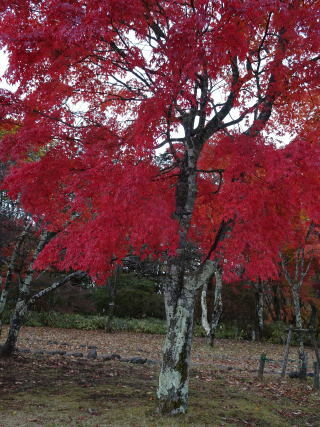 Leaves of trees turned to bright red. 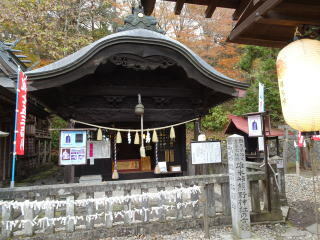 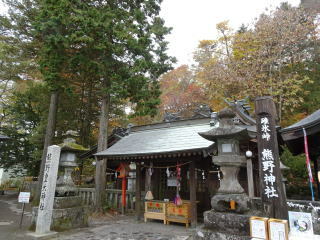 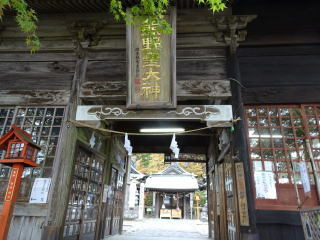 This is the place at the border between Gumma prefecture and Nagano Prefecture, with an altitude of 1200.
people built two shrines for both sides in Edo Period. 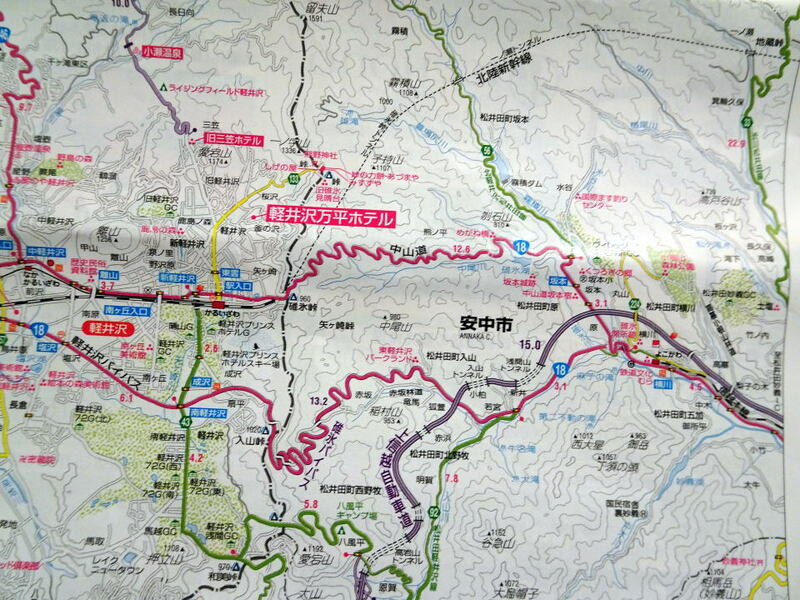 which is seen near the right corner of this map. 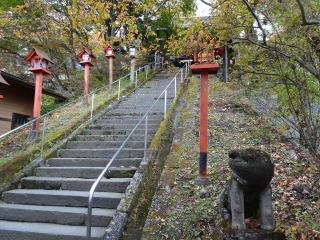 The steep gradient railroad was removed in 1997, and the line over the Usui-Pass was abolished. 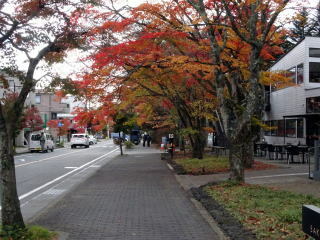 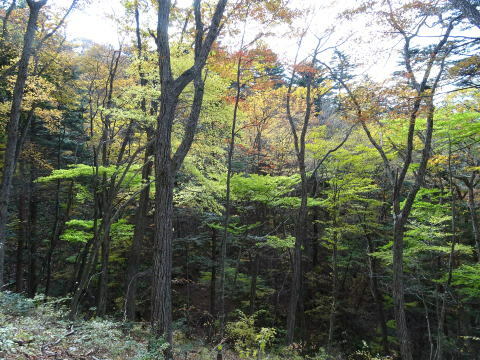 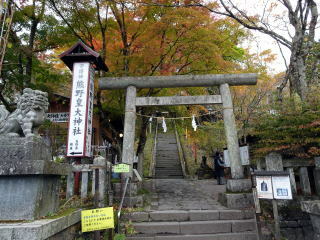 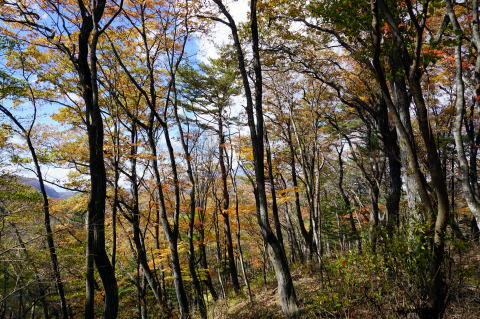 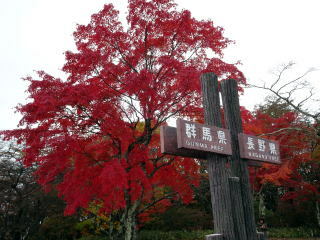 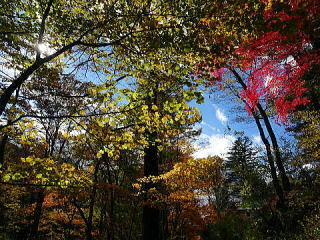 The top of Usui Pass and the town of Karuizawa-Ginza is connected by attractive mountain walking path. 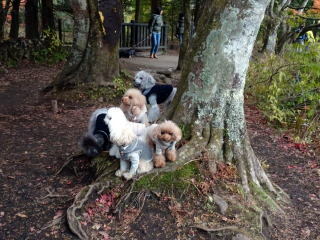 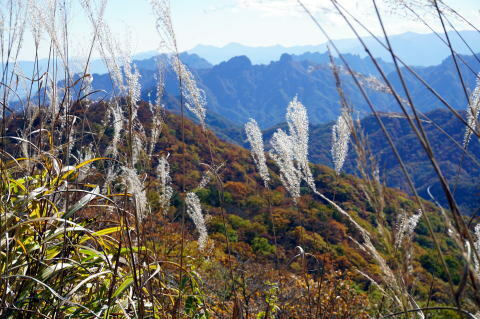 The mountain walking path offers a rich nature. 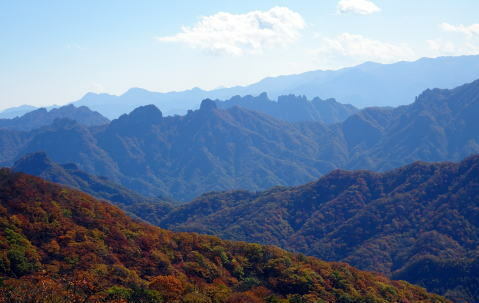 Mountains are decorated with a fresh green and red leaves throughout. 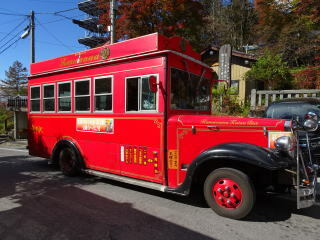 (R) Karuizawa red bus, which operates between Manpei Hotel and Observation Point. 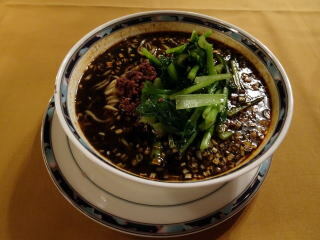 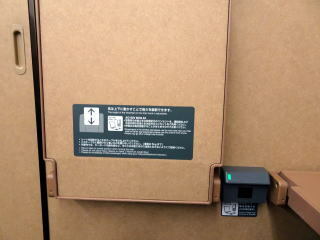 It costs 500 yen for one-way trip. 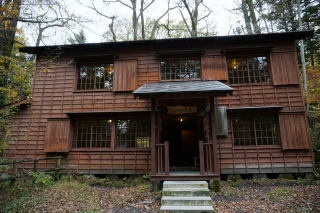 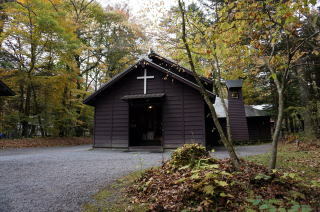 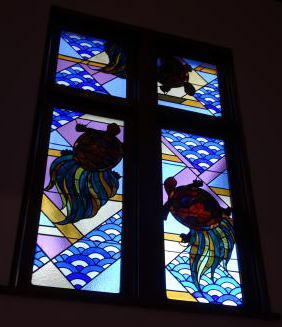 Karuizawa Shaw Memorial Church and villa house: This is the first church and summer-house built in Karuizawa in 1895. 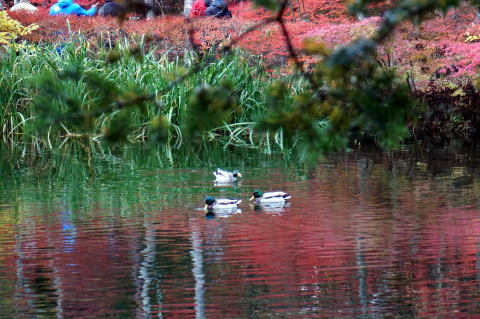 Kumogaike Pond in Karuizawa was crated by dammed a small river with spring water as a source. 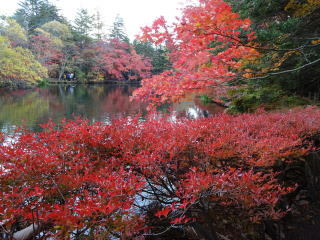 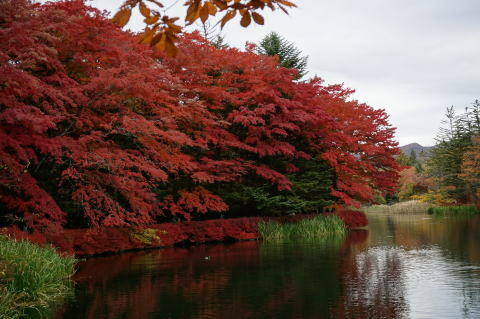 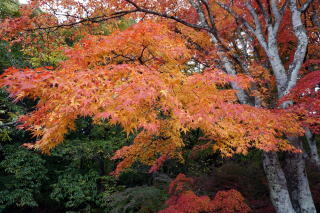 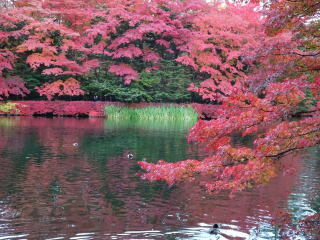 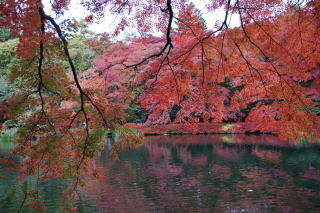 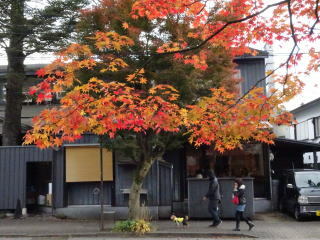 It is worth visiting Kumogaike Pond in spring and autumn seasons. 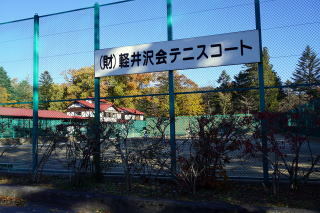 (L) Emperor first met Miss Michiko Shoda, presently Empress, here in this tennis court in Karuizawa. 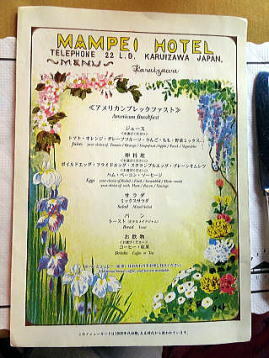 It was in August 1957. 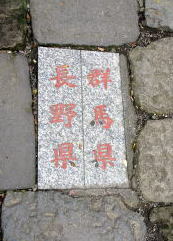 They married in April 1959. 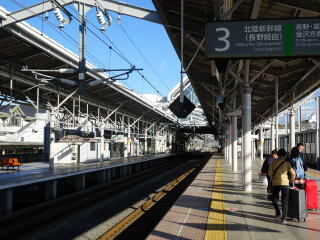 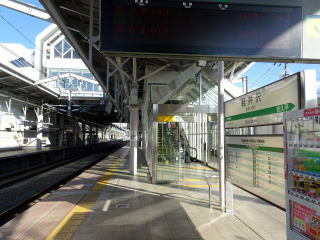 Karuizawa station is the highest shinkansen station throughout Japan, with an altitude of 940.5 m.